A senior student of Tenzin Wangyal Rinpoche, Marcy Vaughn has been a practitioner of Tibetan Buddhism and Bon for more than 35 years. 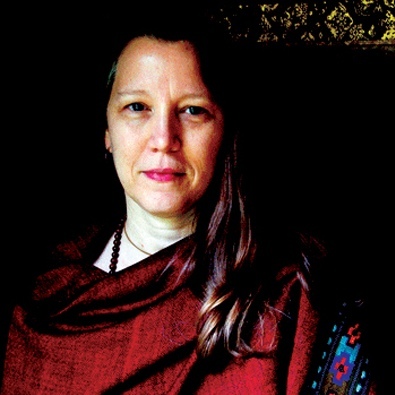 She serves as the Director of Practice and Study for Ligmincha Institute and is the editor of Tenzin Wangyal’s books Tibetan Sound Healing, Awakening the Sacred Body, and the forthcoming Awakening the Luminous Mind. A graduate in the first class of the master’s program in contemplative psychotherapy at Naropa University, Marcy leads meditation retreats throughout the United States and Mexico and conducts training programs in the therapeutic uses of mindfulness, imagery and contemplative practices. She is a therapist in private practice in Bryn Mawr, Pa. In 2008 Marcy completed the traditional 49-day dark retreat. Marcy leads workshops on Tibetan Sound Healing and other meditation practices from the Bön tradition throughout the U.S. and Mexico and is the editor of Tenzin Wangyal Rinpoche’s recent book Tibetan Sound Healing. Marcy has a master’s degree in contemplative psychotherapy from Naropa University, is a therapist in private practice in Bala Cynwyd, Pa., and trains therapists in the clinical use of imagery. She teaches mindfulness-based stress reduction in the University of Pennsylvania’s Program in Stress Management. Marcy was in the first graduating class of the master’s program in contemplative psychotherapy at Naropa University where she also taught and performed in a dance ensemble. Marcy works in close collaboration with Geshe Tenzin Wangyal Rinpoche and has edited his recent books Tibetan Sound Healing and Awakening the Sacred Body as well as many transcripts and other materials. She is a teacher for Ligmincha Institute and also the Director of Study and Practice where she helps to provide curriculum for courses to facilitate study and practice among Bön practitioners. She and her husband Gabriel Rocco designed the curriculum for The Three Doors Academy.